From NHS workers to the Left Bloc - what to look out for on Saturday. Saturday’s Brexit march in London is going to be huge. Hundreds of thousands will attend – with over 200 coaches booked from across the UK. The line up of speakers includes Peter Kyle MP, Joanna Cherry MP, Linda Riley (owner of DIVA magazine), Seb Dance MEP, Tris Reid-Smith (editor-in-chief of Gay Star News), Kathryn Breitner (Director of LGBT+ for a People’s Vote). Left wing figures, climate strikers and MPs will be rallying at the start of People’s Vote protest, from 11am at Stanhope Gate. Organised by Another Europe is Possible, speakers include Clive Lewis, Kate Osamor, Caroline Lucas, climate strikers, trade unionists and grassroots campaigners. 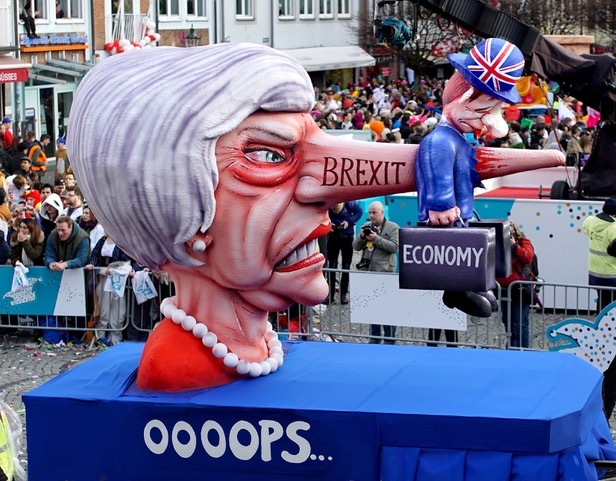 One of the most striking images from the People’s Vote March this Saturday 23rd March will be a float of Theresa May with a huge nose, organised by pro-remain grassroots organisation EU Flag Mafia. Location: Outside Parliament, 10am on Saturday. Edmund Sides is refusing to take the easy way to London. Instead, he is walking to the march from Swansea, a city that also voted for Brexit. He left Swansea on 7th March. A 96-year old World War Two veteran, Brigadier Stephen Goodall, is travelling 200 miles by train from Devon. As well as big names like Justine Greening, Jess Phillips and Caroline Lucas, workers and young people will address the hundreds of thousands on Saturday. Gwyneth Sweatman, the President of NUS Wales, representing all Welsh students and a 28 year old For our Future’s Sake (OFOC) supporter who lives in Cardiff. Amanda Chetwnyd-Cowieson, 25, the co-founder of For our Future’s Sake. Rania Ramli, 20, the elected Chair of Labour Students, and supporter of For our Future’s Sake from London. Head down to the march not just for yourself but for our friends from the EU who contribute so much to the health service and other industries. Meet us this Saturday at the corner of Park Lane and Curzon Gate at 11.30am . Many of those present will be buoyed by the massive success of the Revoke Article 50 petition – which has received more than 2.6 million signatures in just a couple of days. Looks like the People's Vote march has now become the Revoke Article 50 march. 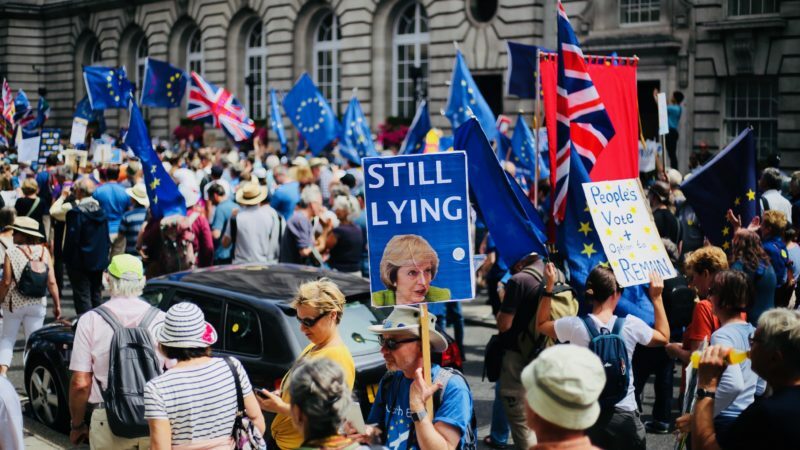 Remainers are optimistic this will be one of the biggest protests the UK has ever seen – and they’re probably right. Got something to add? Get in touch on Twitter. Josiah Mortimer is Editor of Left Foot Forward.